We offer Nail Puller. It is duly hardened and tempered. - Available with single bend also. In order to cater the variegated demands of our clients, we are offering an excellent quality range of Nail Puller. 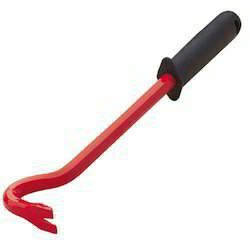 - Nail puller has polished ends and is extremely strong and durable, this tool can pull a variety of fasteners. We are a coveted manufacturer and supplier of optimum quality gamut of Flat Pry Bar which can be available in various specifications. - Commonly used for pulling and removing the nails installed in furniture. 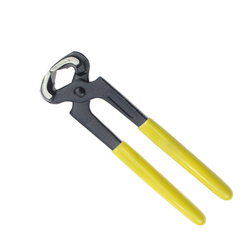 We offer Nail Puller which is forged from carbon steel. All colors are available. · Dully hardened & tempered. We provide tools that are manufactured under the careful guidance of our skilled experts in compliance with international standards. These tools are available with & without a grip to give comfort during use. Description : Ideal for pulling out nails.